Former President George H. W, Bush, arrives on the South Lawn of White House in Washington, Sunday, May 11, 2008. Texas A&M University will be closed Thursday for former President George H.W. Bush's burial on the grounds of his presidential library. All classes on Thursday are canceled. Texas A&M University will be closed Thursday for former President George H.W. Bush's burial on the grounds of his presidential library, according to a statement issued by the university. Texas A&M University President Michael Young said all classes would be canceled and only essential personnel will be working. 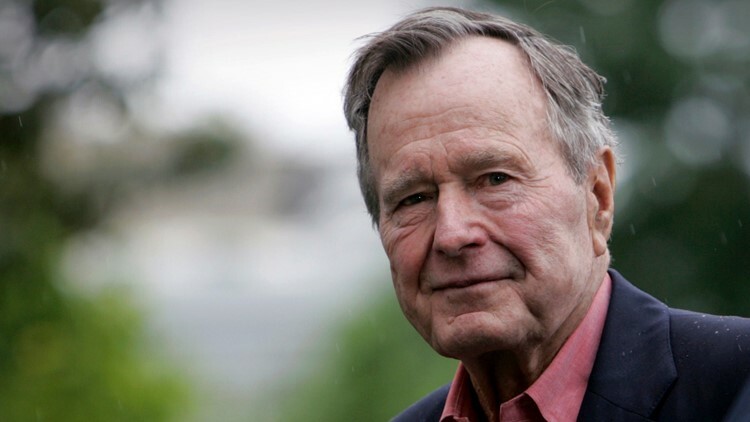 Bush died Friday at the age of 94, less than eight months after his wife of 73 years, former first lady Barbara Bush, passed away. Bush will be laid to rest at the family plot next to his wife and their three-year-old daughter Robin, who died in 1953.